"Handbook for Principles and Practice of Gynecologic Oncology" provides a practical, comprehensive yet concise guide for fellows, residents, and specialist trainees in the diagnosis and management of gynecologic cancers. The book is easy to read and designed for quick reference, with streamlined data to support treatment recommendations. 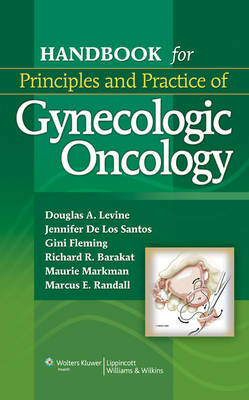 The chapters have been condensed from the key chapters in "Barakat, Markman and Randall's Principles and Practice of Gynecologic Oncology", Fifth Edition and are consistently organized to move from incidence to etiology to diagnosis and treatment. Helpful algorithms and reference tables are included where appropriate. Key points appear in shaded boxes within each chapter.